It’s been three years since the World Economic Forum introduced the concept of the Fourth Industrial Revolution at its 2016 Davos meeting. WEF’s concept positions today’s major tech innovations within the historical context of three previous industrial revolutions. The First ushered the transition from hand-made goods to mechanized, machine-based production based on based on steam and water power. The Second revolved around steel, railroads, cars, chemicals, petroleum, electricity, the telephone and radio, leading to the age of mass production. The Third, starting in the 1960s, saw the advent of digital technologies, computers, the IT industry, and the automation of process in just about all industries. The Fourth Industrial Revolution is now building on the Third. It includes a number of technologies that are blurring the boundaries between the digital, physical and biological spheres. Three technological innovations are having particular impact on the financial services industry: the ongoing digitization of the economy; the growing datafication of the world around us; and the emergence of blockchain technologies. In this article, I’ll discuss the ways that digitization is leading to datafication and creating potential for something even bigger – and save blockchain for a separate article. No transformation is more challenging than meeting the service expectations of digitally empowered customers. Digital technologies enable companies to better engage with their customers, offering them a superior experience at affordable costs. This is arguably the biggest competitive threat from fintech startups, as the digital revolution is finally reaching the established financial services industry. Advances in digital and communication technologies are giving rise to smart connected physical products and services, combining sensors, software, data, analytics and connectivity in all kinds of ways. Innovative, IoT-based systems are restructuring industry boundaries and leading to the creation of whole new industries. The hierarchic organization that prevailed in the 20th century was appropriate to a production oriented, industrial economy. But with accelerating technology and market changes, as well as increased global competition, the hierarchic organization model does not work so well. Companies have to become much more adaptable and creative to better respond to the fast-changing business environment, requiring them to become more innovative. Organizational structures and culture have to be rethought to better deal with new digital markets and business models. Growing digitization is leading to datafication – a relatively new term that describes our ability to capture as data many aspects of the world that have never been quantified before. 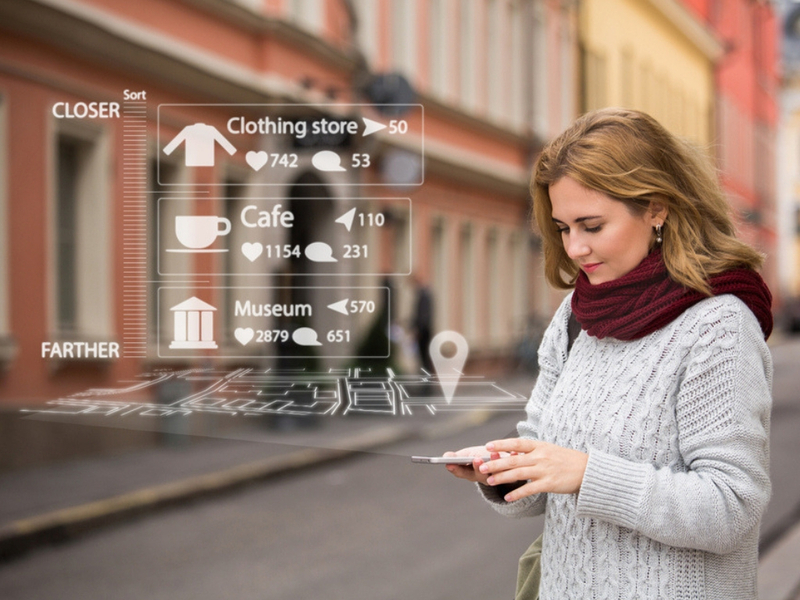 Data is now being generated by just about everything and everybody around us, including not only the growing volume of online and offline transactions, but also our web searches, social media interactions, billions of smart mobile devices and 10s of billions of IoT smart sensors. All these data are enabling us to better understand the world’s physical, economic and social infrastructures, as well as to infuse information-based intelligence into every aspect of their operations and management. With datafication, we can not just report on what’s happening in the present, but to analyze how the future might play out and make better predictions and decisions. Beyond its use in improving the operational efficiencies, data is helping financial institutions to better assess their risks and potentially extend loans to individuals and businesses that would not have otherwise qualified. Data is now being applied to machine learning, giving computers the ability to learn by ingesting and analyzing huge amounts of data instead of being explicitly programmed. It’s a “brute force” way of developing artificial intelligence. This has now brought artificial intelligence to a tipping point of market acceptance. After decades of promise and hype, AI is now seemingly everywhere. Over the past several years, the necessary ingredients have come together to propel AI beyond the research labs into the marketplace: powerful, inexpensive computer technologies; highly sophisticated algorithms; and huge amounts of data. While AI is likely to become one of the most important technologies of the 21st century, we’re still in the early stages of deployment, especially outside leading-edge technology companies. But over time, AI will become as ubiquitous as electricity and digitization. There’s almost nothing we can think of that cannot be made more useful, interesting and valuable by infusing it with AI-based technologies. Irving Wladawsky-Berger is a Research Affiliate at MIT’s Sloan School of Management and Fellow of the Initiative on the Digital Economy and of the MIT Connection Science Initiative. He retired from IBM in 2007 after 37 years with the company, where he was responsible for identifying emerging technologies and marketplace developments that are critical to the future of the IT industry, and led a number of IBM’s company wide initiatives including the Internet, supercomputing and Linux.